Vandi Athletic Fit Lab Coat —New! An ultra-modern athletic fit lab coat, with geometrically inspired precision seams. 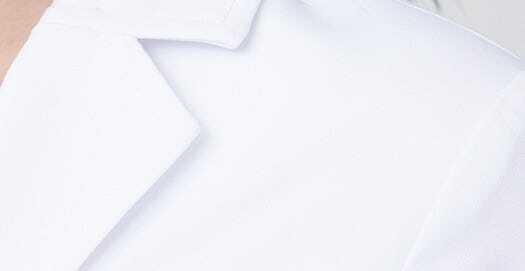 A white coat designed for the next generation of healthcare. A feminine, high modern lapel. 2 signature angled hand pockets; 1 chest welt pocket. Slimming back / front waist detail. Designed specifically for professional women, our styling is not too tight, not too loose. True to size. Its beautifully made, fits very well, and is great looking. Great for the price. Best lab coat I’ve ever purchased! Wasn’t sure which size to get so I ordered a few—process to send back was easy and I received my new embroidered top in just a few days. The athletic fit is great, sleeves are longer which is great when you are a small size, but 5'11". Lots of compliments! Q: I am 5'00", 108-110lb. I am not sure if I should order an XS or XXS. I need this white coat soon, so unfortunately do not have time to utilize the free home trial fitting and need it embroidered as well. A: Hello. Thank you for reaching out to us. We would definitely be able to guide you to the right style and size if you can provide us your bust and hip measurements in inches. You can also always reach out to our Customer Experience team at 877.987.7979. 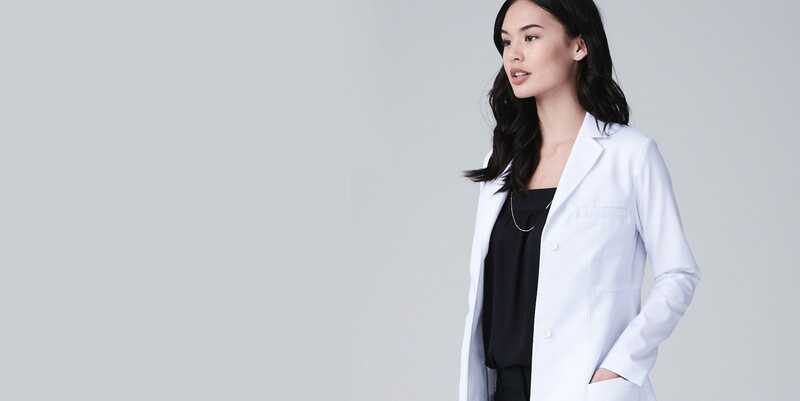 Q: Does the Vandi lab coat come in petite. I have a 2P. What size am I ? A: Hi Debi, thank you for the excellent question. The Vandi does not come in a petite fit unfortunately. We only offer the Ellody and Rebecca for petite. If you are a 2 in the Ellody, then I would suggest trying on an XS Vandi. If you reside in the US then I recommend taking advantage of our free returns and exchanges for non-embroidered garments.